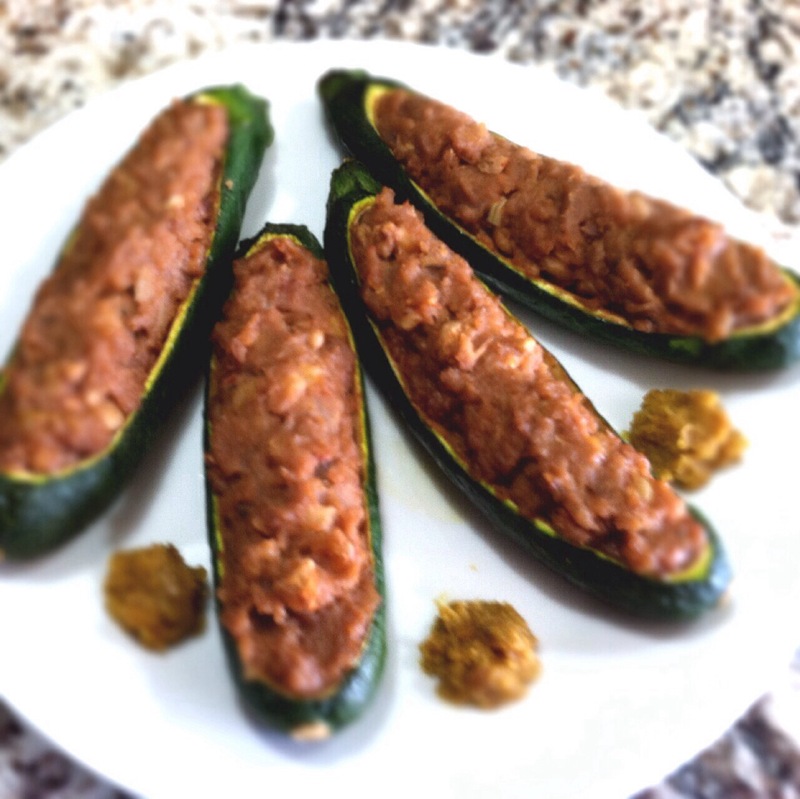 These hearty and complex winter squashes are a treat for the taste buds. They weren’t very complicated to make but they were extremely flavorful! I could eat that pâté by the spoonful! 1. Preheat the oven to 350°F. Make the pâté first. 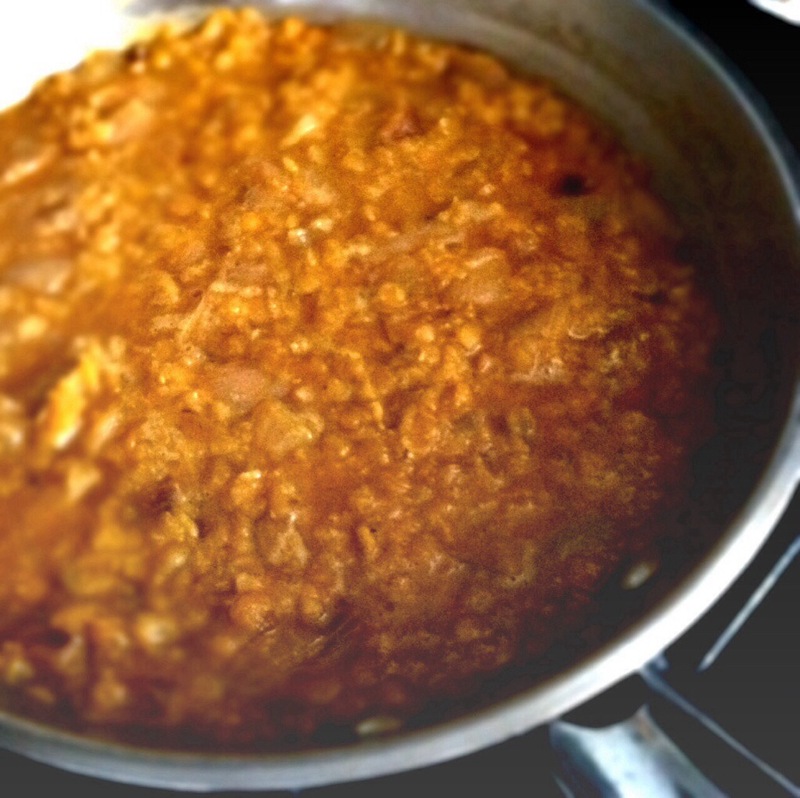 Fill a medium saucepan wi cold water, add lentils, and bring to a boil. 2. Drain the lentils. Rinse under cold water, then return to the pan. Add the onion, garlic, and vegetables stock. Bring to a boil, then simmer for 20 minutes. 3. Drain the lentils again if still watery. Stir in the remaining pâté ingredients. Transfer the mixture to a food processor or blender and mix until smooth. 5. 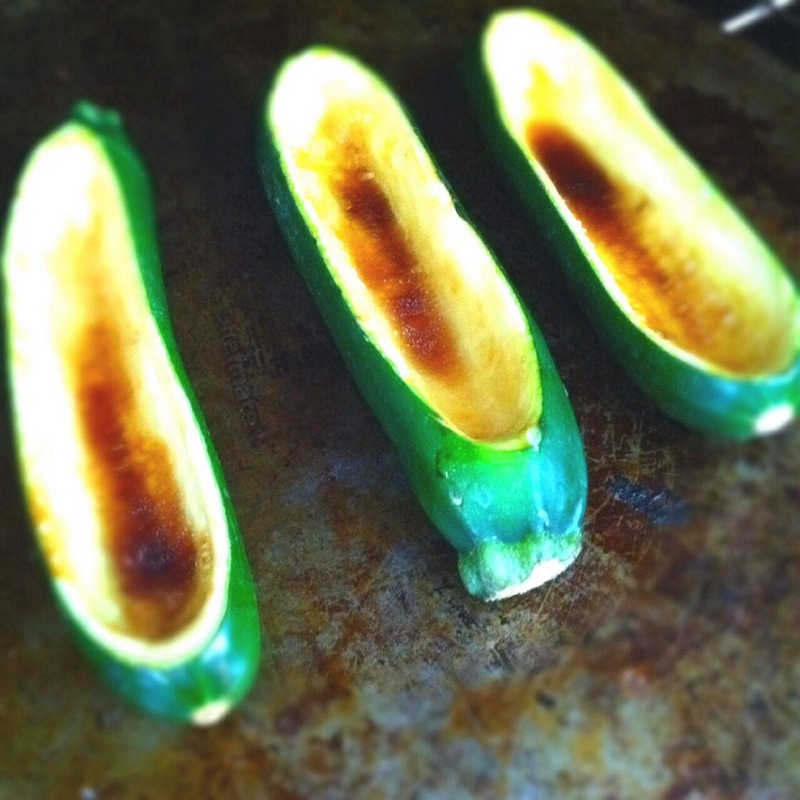 Mix together the avocado/olive oil and the soy sauce, then brush it on the tops of the zucchini boats. Bake for about 15-20 minutes. 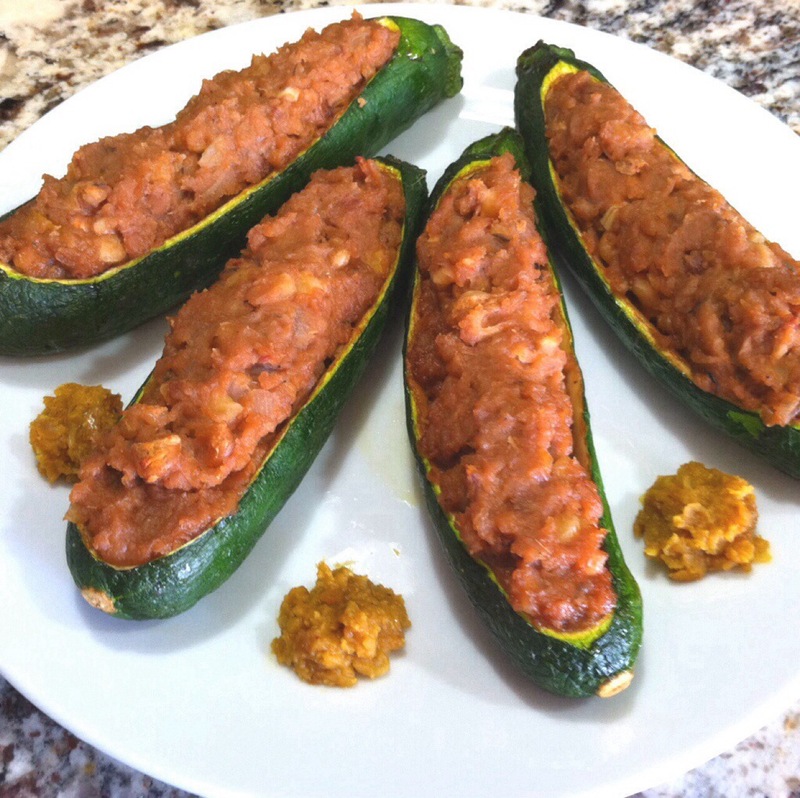 Remove the zucchini from the oven, fill with the lentil and walnut pâté and return to the oven for 10 minutes, or until heated through. 6 serve with a mixed salad, red onion marmalade, and/or warm oatcakes. The pâté was easy to make, but it took a while to thicken and it was a pain to watch. I had fun cutting and zucchini! The small strip you cut off the bottom really keeps them from rolling around the tray! Forgoing the blender, I used chopped walnut pieces in the recipe, and it was delicious as a slightly chunkier pâté! I loved it! Definitely a “make again” recipe!